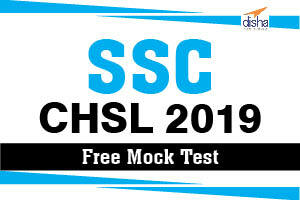 Practice is the key to success Disha Publiction has launched online test series for SSC CHSL 2019 - Free Online Mock Test Series: where you can find preparation tests for the exam. These mock tests will help you determine your current status of the preparation and will help you elevate yourself and prepare yourself for the exam. Each mock test has the detailed analytical reports which would help aspirants identify the areas they need to work the most on. Selection Commission (SSC) conducted online comprising of 4 sections with about a 100 questions in total and with maximum marks of 200. The entire exam is needed to be completed in a time span of 60 minutes. There is a negative marking of 0.50 Marks for each wrong answer. Therefore, it has become imperative for aspirants to perform well in four sections to clear the exam. Mock Test series is the crucial part of preparation process. 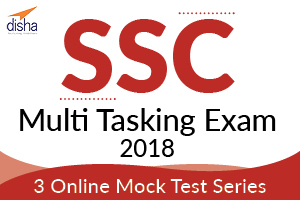 Taking SSC CHSL 2019 - 3 Online Mock Test Series in the actual exam pattern is paramount to scoring well in the exam. 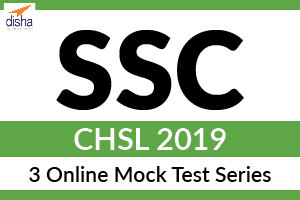 Practice is the key to success Disha Publiction has launched online test series for SSC CHSL 2019 - 3 Online Mock Test Series: where you can find preparation tests for the exam. These mock tests will help you determine your current status of the preparation and will help you elevate yourself and prepare yourself for the exam. Each mock test has the detailed analytical reports which would help aspirants identify the areas they need to work the most on. Practice is the key to success Disha Publiction has launched online test series for SSC MTS Exam 2018 where you can find preparation tests for the exam. These mock tests will help you determine your current status of the preparation and will help you elevate yourself and prepare yourself for the exam. Each mock test has the detailed analytical reports which would help aspirants identify the areas they need to work the most on. Mock Test series is the crucial part of preparation process. 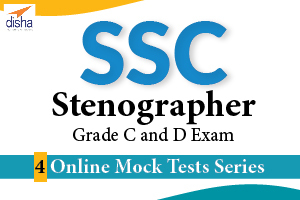 Taking SSC CGL Tier – I Exam online Mock test in the actual exam pattern is paramount to scoring well in the exam. 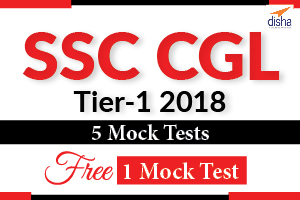 Practice is the key to success Disha Publiction has launched online test series for SSC CGL Tier – I Exam 2018 & Free Mock Test where you can find preparation tests for the exam. These mock tests will help you determine your current status of the preparation and will help you elevate yourself and prepare yourself for the exam. Each mock test has the detailed analytical reports which would help aspirants identify the areas they need to work the most on. Free Mock Test is the crucial part of preparation process. 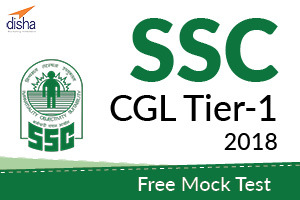 Taking SSC CGL Tier – I Exam online Mock test in the actual exam pattern is paramount to scoring well in the exam. Step 4: Free Mock Test will be visible in the grid -> Click “Start” to start the specific section wise test. Practice is the key to success Disha Publiction has launched online test series for SSC CGL Tier – I Exam 2018 where you can find preparation tests for the exam. These mock tests will help you determine your current status of the preparation and will help you elevate yourself and prepare yourself for the exam. Each mock test has the detailed analytical reports which would help aspirants identify the areas they need to work the most on.